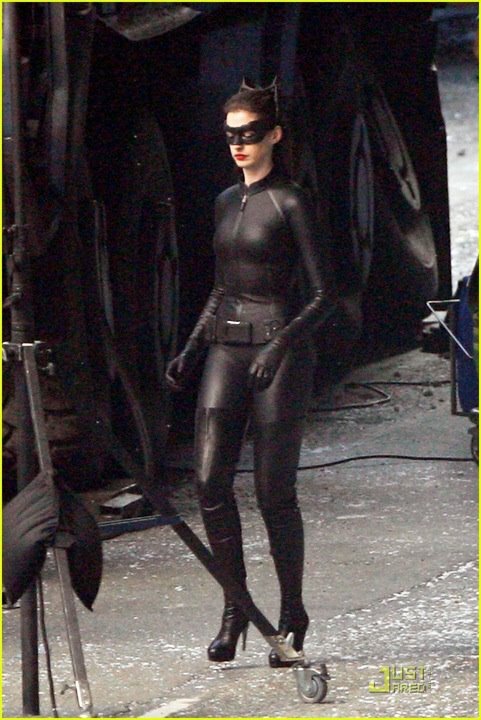 If anyone was disappointed that Anne Hathaway's Catwoman costume wasn't very cat-like based on the initial photos of her...be dissappointed no more. The latest pics from The Dark Knight Rises reveal Anne's costume is very Julie Newmar Catwoman like. 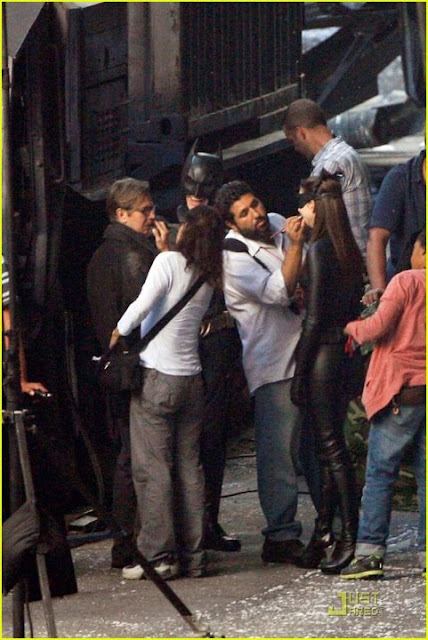 Check out the pics below along with Christian Bale as Batman. 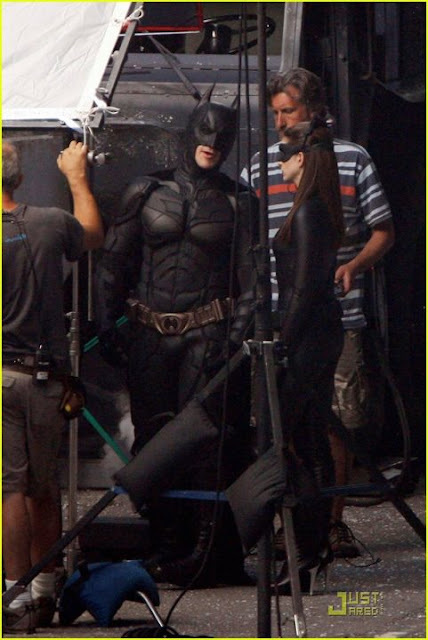 What does eveyone think of the latest pics?